In school I was taught the three Rs; Reading, Writing and Arithmetic. I was not taught the three Ds; Death, Dismemberment and Destruction. 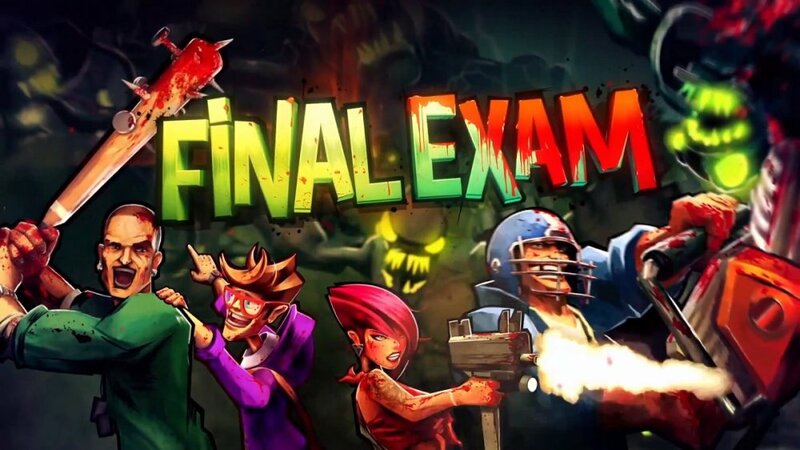 The class of Final Exam should count themselves lucky that they were taught how to apply violence as zombies have just taken over the school. The new co-op trailer shows just this. Already fun in single-player, Final Exam takes on a whole new dimension in Co-op, as demonstrated by the new trailer that presents the gameplay features in 4-player mode: split your team up to achieve your objectives as quickly as possible, or stick together to increase your chances of survival against the waves of increasingly powerful and aggressive monsters. Playing with other players in Co-op mode opens up new combat opportunities: "juggle" with the monsters to deny them a single moment of respite, cover your team mates while they re-load that mighty rocket launchers, or protect them as they transport an item that will be critical for your next objective! If all this co-op info was not enough to give you a back-to-school buzz, then news that Steam pre-orders of the game get access to an early demo should have you throwing your blazers in the air. Pre-order today on the PC and you get the first level immediately; this can be tackled in 4 player co-op. Page created in 0.8585 seconds.